SAVANNAH, GA – June 16th, 2016 All are welcome to register for the June 25th paddle trip located at Morgan’s Bridge to the Savannah-Ogeechee Canal. This 9-mile trip will take participants through some of the Ogeechee’s more labyrinthine passages and is suitable for intermediate paddlers. 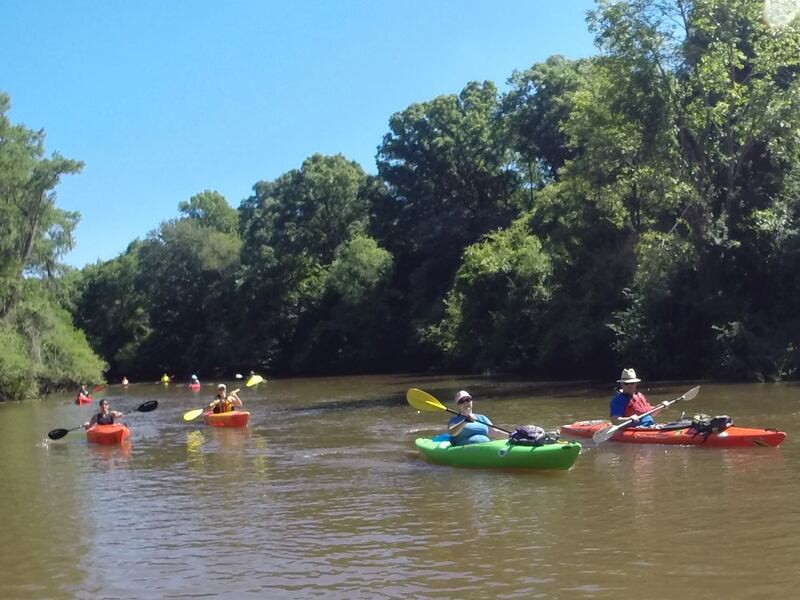 The June trip is the latest in Ogeechee Riverkeeper’s summer schedule of paddle trips and has been designed to be family friendly and suitable for older children. The 9 a.m. tour will wind throughout the peaceful water and will require three to four hours of paddling time plus an hour for lunch. Participants will be exposed to beautiful scenery along with the chance to observe wildlife. People interested in joining the trip must register at www.ogeecheeriverkeeper.org by 4 p.m. on June 24th as no registrations or rentals will be accepted after the deadline. All members are encouraged to register and take part in this monthly paddle trip at no cost beyond an annual membership. Non-members can also experience the beauty of the River by paying $35 which will include a yearly membership. There is also a small fee for rental boats if paddlers do not have one. Please bring your own food, refreshments and a dry bag for personal keys/cell phones. It is recommended for paddlers dress for the outdoors. This includes a hat, tennis shoes and plenty of sunscreen. The trip will feature an educational guide who will inform participants about the scenery they are viewing. Ogeechee Riverkeeper is looking forward to seeing everyone out on June 25th for a fun, unforgettable time on the River! For a full schedule of our monthly trips, visit www.ogeecheeriverkeeper.org/events/paddle-trips/. For more information about the trips, email Demonbreun-Chapman at jesse@ogeecheeriverkeeper.org or call 866-942-6222, ext. 2. To learn more about Ogeechee Riverkeeper, please visit www.ogeecheeriverkeeper.org or call 866-942-6222.